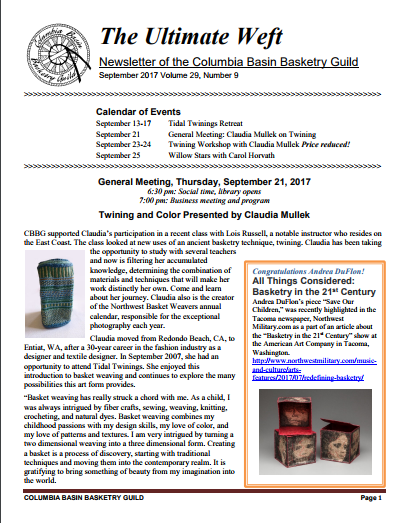 The Columbia Basin Basketry Guild's newsletter is called The Ultimate Weft and is available to members. The Ultimate Weft is published 11 times per year and is available to members in paper or electronic format. The deadline for submitting information to the newsletter is the 15th of the prior month. Business advertising is available. Contact the Guild's newsletter editor for more information.